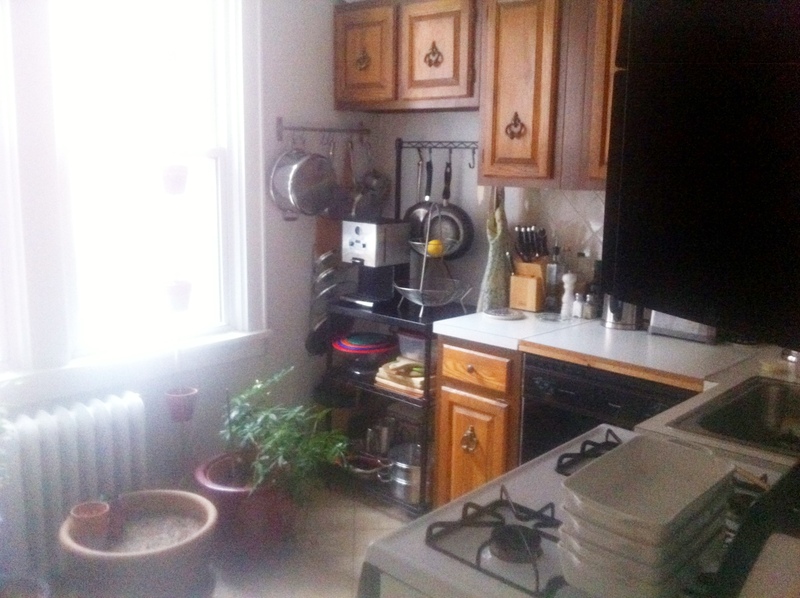 My kitchen is the center of my home, as is true for a lot of people. My way of relaxing and showing people how much I love them is by filling their stomachs. Up until a few days ago this love was created on approximately 3 feet of counter space. I have become an expert at preparing very sizable meals in very limiting conditions…including 2 Thanksgiving feasts. When we bought our condo a couple years ago there were certain limitations to be worked with ie. we were poor. 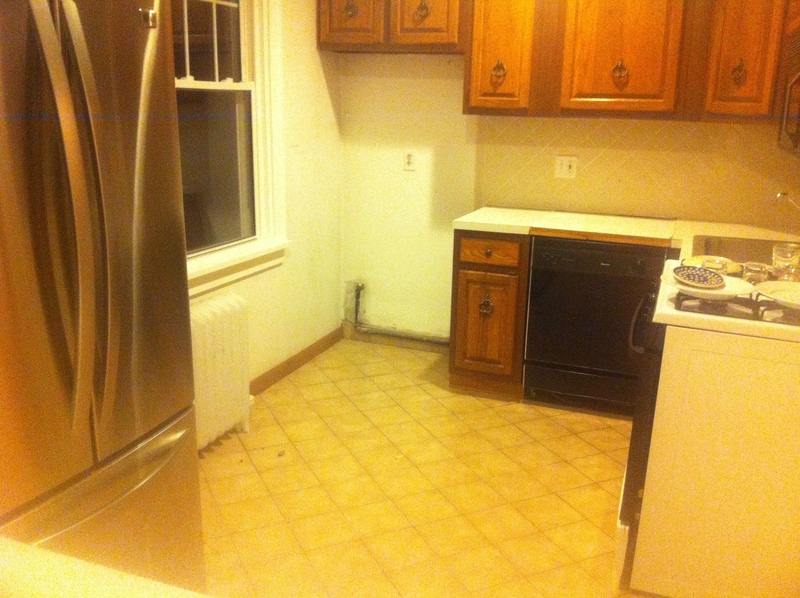 I love the location, the character of the building, and feel of the surrounding neighborhood but the kitchen was an issue. After diligently saving money for a long time to update it I began to no longer see what an eyesore it was. The pimple of my adorable little home. But it is finally time to bring my kitchen out of the 1980’s and with it to have a dishwasher that doesn’t sound like a train, to not have a random shelving unit to store my All-Clad pans, to have enough space to prepare French pressed coffee and make eggs at the same time, and to not use the top of the stove as a prep space. I will have more counter space then I know what to do with.